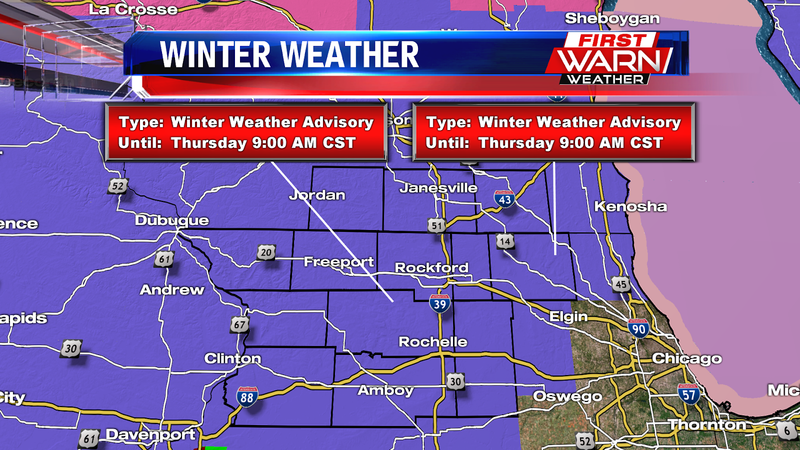 Winter Weather Advisories continue for northern Illinois and southern Wisconsin Wednesday evening, lasting through early Thursday evening. 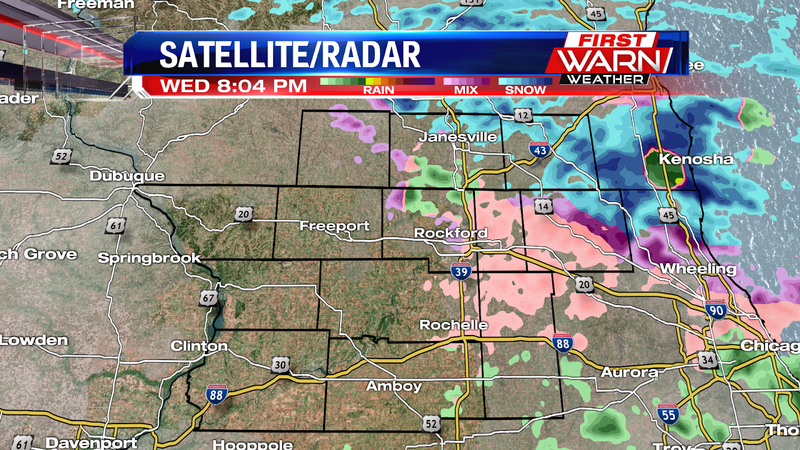 A mixture of sleet, freezing rain, and at times rain, has been falling over much of the Stateline. There's been an overall downtrend in some of the precipitation Wednesday evening, however, it's expected to pick back up during the overnight and early Thursday. As low pressure moves closer to northern Illinois Thursday, the chance for freezing rain will increase through sunrise across far northern Illinois and southern Wisconsin. Warming temperatures during the morning and afternoon will help transition some of the freezing rain over to rain across much of northern Illinois. 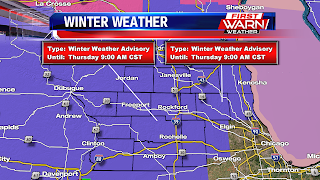 Areas closer to the Wisconsin/Illinois border may hold on to freezing rain a little longer as temperatures are not expected to warm as much, or as quickly, during the day. Low pressure will move just to the south of northern Illinois Thursday afternoon pulling a strong cold front through during the afternoon. A transition back over to a wintry mix will be likely early afternoon before snow showers develop through the evening. Winds will increase from the northwest, gusting at times close to 35 mph by Friday morning. Temperatures are expected to tumble Thursday night, falling into the single digits with wind chills falling back below zero by Friday morning. In fact, wind chills could fall as low as twenty below by Friday morning.